If it came to pass there were no such animals as performers, what would the poor composer do? A ridiculous situation but it does point certainly to the value of the conductor, pianist, violinist and the singer in the scheme of things. One such "animal" or rather "bird" was lyric tenor Hubert Eisdell who could caress English words with the best of them, and hold the final note of music on the finest filament of sound. He knew many composers and sang their music both in concert and on records. That made him a heavenly bird indeed. He was born Hubert Mortimer Eisdell on 21 September 1882 in Hampstead, a suburb of London, the only son of a famous barrister, John Arthur Eisdell. He was proud of his Huguenots heritage and that he could trace his roots to Baron d'Estaile who fled France in 1572. After earning a preliminary education at Highgate School, Hubert entered Cambridge University to study at Gonville and Caius College where he shone in sports and as a member of the Dramatic and Footlights Club. Once he played both Maria and Sir Harry Bumper in a performance of The School for Scandal. In 1905 he graduated with a Master of Arts in classics. As one might have expected, Papa would have preferred to have his son's steps echo those of his own, but young Hubert had a restive nature and a suspicion that the world held much more than a lawyer's office could reveal. So he boarded ship for Canada to become a teacher at Grove Preparatory School in Lakefield, Ontario. It is hard not to think that his cousin played a hand for Sir William Mortimer Clark was Lieutenant-Governor for Ontario. His skill at the piano gave endless delight until one day he asked, "May I sing?" Realizing a wealth of opportunity surrounded him, he considered acquiring part ownership in the school, but burning uppermost was a desire to succeed as a professional singer, and to do so, he knew he needed to return to England. The opportunity came in 1907 when Gervase Elwes invited him to a shooting party at his estate in Lincolnshire. Taking Cary aside, he revealed his aspirations but Elwes had been a tenor himself for four years so he probably told him he was daft. He still regretted the family turmoil that he caused by his decision to abandon a promising diplomatic career. But, Hubert would not be dissuaded, so Elwes sent him to his teacher, Victor Beigel. He was a Londoner, of Hungarian lineage, who had been a top pianist but tiring of the fast life he had turned to vocal coaching. At his London studio, his students in addition to Elwes included John Adams and Lauritz Melchior but he liked Eisdell's voice so he was accepted. Progress was, in a word, "meteoric" and sufficient to convince William Boosey, director of the popular and lucrative Chappell Ballad Concert series to book him for Queen's Hall in 1909. Success made him an instant regular with Chappells. His unusual timbre, delicacy and ethereal quality captivated composers Roger Quilter, Robert Coningsby Clarke, Cyril Scott and Teresa del Riego, and convinced them he could introduce their music. One piece, a song cycle first performed in 1896, could have been written for him. His singing of In a Persian Garden brought him to the attention of the work's composer, Liza Lehmann. Their friendship blossomed and he continued to make sensational appearances. Then, at a ball at his old school, he met a young musician from Tasmania who had gained her training via scholarship at the Melbourne Conservatorium and was now assistant to Percy Granger. Katharine Parker and Hubert were married in 1909 and she quickly settled in her role as regular accompanist. In December 1909, Liza Lehmann (pictured) chose to visit America to perform her music at innumerable whistle-stops, always to great acclaim. 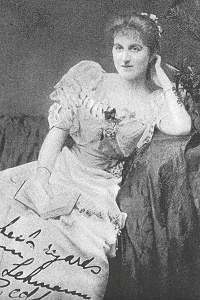 She had been able to take only contralto Mary Palgrave-Turner and a boy soprano, using local singers to complete her needs. This proved highly unsatisfactory so for her second tour the following year, she brought a full complement of soloists. In this role, she cast her tenor friend Hubert, Blanche Tomlin, Mary Palgrave-Turner and Julien Henry. Katharine stayed at home. The tiny group embarked on an eighty concert, 50,000 mile jaunt with Persian Garden the pièce de résistance at every stop. After rattling by train throughout the USA and Canada, they reached Florida, anticipating a relaxing trip home. When he came on board, Hubert was seen to be clutching a makeshift cigar box that turned out to hold two potential house pets. During the passage, one managed to escape, prompting a frantic search. The fugitive was eventually found, snuggled up under Madame Tomlin's pillow. No doubt, the tenor was relieved to reunite his pet alligators, as was Blanche. With such a splendid career boost, he was soon a vocalist at the Leeds Festival with Beecham, at the Norwich Festival and the Proms with Sir Henry Wood and the Three Choirs Festival with Sir Edward Elgar and Sir Ivor Atkins. All was proceeding very well indeed. Katharine mothered a son Michael on 26 October, 1911 with his Godmother none other than Liza Lehmann. He continued to sing in Leeds in March 1912 with Doris Carter, Montague Borwell and the New Choral Society in two parts of Haydn's Creation and Mendelssohn's Hymn of Praise. Then it was Samuel Coleridge-Taylor's Hiawatha. He had hoped for special insight but C-T died the previous September. 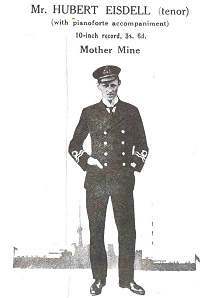 In November he began recording for The Gramophone Company and joined the Royal Naval Reserve. His first phonographic record for HMV was "Somewhere a voice is calling" by Arthur Frank Tate, an appropriate beginning indeed. This simple, unforgettable ballad had been introduced the previous year and was now vastly popular in America through recordings by John McCormack and Frank Sinatra. Tate was born in Pickering in 1880 and held various postings as church organist while composing songs and piano music. Hubert’s HMV version was z 6789f/02429 and while in 1916 when he joined Columbia the song was one of his first records on 75289/L1130. In 1913, he was accorded the rare honour of singing before King George V at a Royal Amateur Orchestral Society Concert. Then, on 15 October, he sang at a Chappell Ballad Concert in Nottingham with Carmen Hill, Louise Dale and Thorpe Bates. 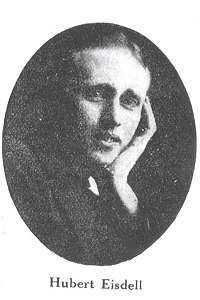 In 1914, he escaped a nervous London on 16 April to sing at the Torquay Festival where he and Carrie Tubb offered a "Colonial Song" by Percy Grainger who conducted. When war eventually erupted, Hubert became a Coast Guard lieutenant and from 1915 to 1917, pushed into every cove and secluded harbour seeking spies and saboteurs. If any were found, these prizes remain a deep secret. When on leave, he could usually be found in the recording studios, but by 1918 he was engaged at the Admiralty as Aide to Commodore King. Many of his records for HMV were not released so this may have rankled for in 1916, he switched to the Columbia Graphophone (later Columbia Gramophone) Company. To his surprise, not only were the records in circulation causing a stir, they were giving him star status. So widespread in fact was interest, a disc was found in a German trench after the war, and presented to the British War Museum. Columbia seems to have realized the value of their new tenor. By meshing Hubert's creamy tone with the unique, shimmering quality of soprano Dora Labbette, they produced twenty-six splendid duet records between 1922 and 1932. Hubert remained in Columbia's fold until his recording days ended. Did he ever consider opera? It seems he felt this exacting art form might damage his gentle gift and having found success so quickly in oratorio and on the concert stage, he chose to stay with this proven formula. Next came another Chappell Ballad Concert in Birmingham with Elwes, Louise Dale, Madame d'Alvarez and Robert Radford, Alick MacLean conducting. Then in Edinburgh in 1920, he shared pleasant times at New Year's Day celebratory concerts with Caroline Hatchard, Jesse Millar and Norman Allin. With the approach of Spring, the Eisdells were in a mood to travel. Katharine had long yearned to see her homeland again to show off her family. After an ocean journey aboard S.S. Paperee, they arrived in Australia to find a social whirl a-waiting. On 21 July, they frolicked "at home" on HMS Renown, Katharine "the belle of the ball" dancing with her future monarch, Edward VIII. Piers Leigh, the Prince’s equerry, made certain the pleasing couple came again to dine on 14 August. Years later their son Michael recalled, "I do know my Father became very busy when he sang a lot of extra concerts at the last moment. Apparently, John McCormack was also touring and on one occasion had refused to sing the National Anthem. This caused the organizers to transfer the Irishman's concerts to my Father. In other words, he stayed longer than originally planned." His farewell concert came in Sydney in September. At home, he left the Navy to become an itinerant tenor once more and surely it felt soothing to sing oratorio again. However shocking news soon shattered his routine. Cary Elwes had died on 12 January 1921 after a terrible accident in the railway station in Boston. Early in 1922, Hubert spent time in Manchester, first in February for Bach's B Minor Mass with Caroline Hatchard, Dilys Jones and Robert Radford, then on 3 March in Beethoven's Ninth with Mesdames Nicholls and Sonnenberg, George Parker and the Hallé, Harty conducting. He also took part in the Memorial Concert for Gervase Elwes on 24 May in Albert Hall, offering the last work Elwes had sung in England, "Our Dead," a sonnet for tenor and orchestra by Edric Cundell. He also suggested that American sculptress Malvina Hoffmann's portrait of Elwes be placed in the grand circle of Queen's Hall where ... "we singers can see him." He began 1923 by sharing a Chappell's Concert on 20 January with Leila Megane, Maggie Teyte, Doris Vane and Harold Williams, then in contrast, a Eugène Goossens chamber concert in Aeolian Hall where he offered repertoire gems: songs by 12th, 13th and 14th century composers, then by Schubert, Brahms, Fauré, Parry, Bax, Richard Strauss and Stravinsky. As to a philosophy, Eisdell sought to explain his approach in the Music Masterpieces magazine of 10 June 1926: "Singing in practically every part of the country, I find a constant demand for the old favourites. The public never tires of familiar folk songs and ballads like Tosti's `Parted'. I am asked to sing those everywhere and their reception is always cordial." and "The public knows what it wants. From music it wants a thrill, not a shock. Beauty, emotional power, and sincerity - those qualities will always give music an irresistible appeal, and I personally love it all, even that which is considered `high brow,' or even the homely ballad, if it comes straight from the heart." As to the high brow comment, Keith Falkner agreed in a letter: "I shall never forget his singing of the F sharp minor role in the St. John Passion (Ah, my soul), for its beauty and intensity. Eisdell was so often considered only a ballad singer but in fact his classical work was to me his finest achievement. He sang the St. Matthew solos better than anyone I can remember - lovely tone." The Musical Times in 1923 waded in, "... nobody pretends that Mr. Eisdell has as fine a voice as the Gigli's and the Lappas's, yet his singing is far more artistic than theirs. He leaves the usual Italian operatic tenor far behind in beauty of tone." An odd slip in diction though was quickly pounced on by Compton MacKenzie and others. His wife, understandably, always spoke positively: "He gave one of his most inspired performances when he recorded the aria `Thou shall break them.' This demanding piece really is a `model performance' ... the most perfectly sung record I have heard. His technique is superb and the diction flawless. In fact, one seldom would hear another singer breathe as he did." In the twenties, Columbia gave him free rein artistically with the result Roger Quilter's exquisite song-cycle `To Julia’ was recorded with the composer at the piano. In Quilter's music, according to Falkner "Audiences would almost swoon with delight when he sang `Now Sleeps the Crimson Petal'" but oddly, he did not record it. 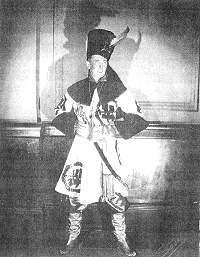 During the summer of 1924, he tried his hand at musical theatre in London as Harlequin in Midsummer Madness on 3 July at the Lyric Theatre. A fantasy that included Marie Tempest, it was created by the stellar team of Sir Nigel Playfair, Clifford Bax and Armstrong Gibbs. Alas, The Times gave it a gentle "thumbs down." Undaunted, Hubert tried again in "Almond Eye" at the Scala Theatre. The summer diversion over, he was ready when the Vocal Society in Hull called in need of a tenor to sing Elgar's Dream of Gerontius on 11 March 1925 as a replacement for an indisposed Arthur Jordan. No stranger to Elgar's music, Hubert rushed to Hull to join Astra Desmond, Herbert Heyner and conductor Sir Henry Coward. The Daily Mail was impressed, "As Gerontius and later as the soul of Gerontius, Mr. Eisdell sang his part as it should be sung. Never did he lose his grip of the difficult music, never did he place himself before his part, but merely sung as Elgar (and Newman) required it to be rendered. He held himself well in hand and his quiet, although ecstatic interpretation, will be long remembered ..."
Hubert next decided to join People’s Impresario Wilfred Stephenson on a tour of fifteen centers in north central Britain. For the next six months, top talent would perform at bargain prices. It was underway in September at Queen's Hall, Hull. Hubert was there on 20 February to please fans made the previous March. Recording "specials" at the time included Beethoven's Ninth Symphony under Felix Weingartner with Miriam Licette, Muriel Brunskill and Harold Williams. In the Eisdell home, Katharine spoke of her man as "charming, amusing, highly intelligent, with a wonderful sense of humour." But, a hint of reproach crept in when she recalled how he never liked to settle down in one place for any length of time. No matter how attractive she made their home he always saw something else - usually near a river where he could fish. Michael also thought of him as "a first class fly fisherman who flogged the waters day after day even without success ... also as a fine athlete, a good cricketer (a member of the MCC) but not a particularly good shot. I don't think he enjoyed criticism but I know he was first-class at making caustic remarks about others. A great practical joker with a great sense of humour, I don't know he liked having his leg pulled much." As a rule, he was the serious artiste as befits the Christmas season of 1928. The previous year he had participated in Beecham’s racy Messiah recording. Now he sang three Messiahs with Beecham: 16 December at the Royal Albert Hall, London with Dora Labbette, Muriel Brunskill and Harold Williams; two days later in King George's Hall, Blackburn with the same crew and on 23 December in London again at Golders Green Hippodrome with Margaret Balfour replacing Miss Brunskill. Their marriage teetering, the Eisdells on 18 April 1929 mustered enough togetherness to record a pair of loving ballads, "I Kiss your Hand" and "Heartstrings." For the latter, Katharine accompanied at the piano along with Bernard Reillie with his violin. That summer it seems Hubert paid his pals in Ontario a visit, in the process meeting Alva Grahame, a charmer from nearby Lakefield. This interlude ended in September when he rushed to Worcester for a Three Choirs Festival Messiah. At Christmas, he sent Alva a photo and a few words. For Falkner, he could do no wrong: "I was greatly impressed when he joined Steuart Wilson, Dorothy Silk, Margaret Balfour, Arthur Cranmer and myself in a performance of the St. Matthew with the Bach Choir on 22 March 1931 under Adrian. His singing of the tenor arias, notably `To Witness False' and the air `Be Strong, Endure' which he sang with great vigour and intensity, with his dramatic delivery of words, were as fine and as moving as any I can recall." Eisdell attended the Leeds Triennial Festival that year from 7-10 October, and on Opening Night added his voice to the sextet "Et incarnatus" in Cherubini's Mass in D minor. He may have sung on the 9th in Bach's B Minor Mass but he certainly attended the final concert for something rather special, a role in grand opera! With Beecham in charge, he sang David in excerpts from Act 3 of Die Meistersingers with Elsie Suddaby, Horace Stevens and Walter Widdop. In 1932, Katharine and Hubert parted company. By some miracle, the (now Royal) Conservatory of Music in Toronto needed a singing teacher, so he applied. This placed him in proximity to Lakefield where a faculty member, John M. MacRae, known as "Bubs," began tracking his career. "He was removing himself from the scene of an unpleasant divorce, Lakefield providing a return to something he had long ago found completely pleasant." He also gave song recitals, ballad and oratorio concerts and radio broadcasts. According to Toronto's music critics, he was not only interpreting Handel and Bach with distinction but his voice during this period was described as the lightest, purest tenor without a tremor. The Messiah arias might have been object lessons in tenor vocalism for their delightful ease and artistry. Towards year's end, he returned to the U.K. to wrap up his affairs, including the making of his final records. Back at the Conservatory, Bubs: "In the spring of 1933, I rigged the headmaster's sailboat, the yawl `Gilpie' and perhaps as a reward was invited to join a week-end cruise to Stoney Lake with an adult crew including Hubert. That's when he discovered maple syrup, putting it generously on everything he ate. He struck me as a most pleasant person. I was always impressed by the refinement of the English gentlemen I met in my young life, and Hubert was certainly one of them." That summer he proposed to Alva and set about to fashion a new life. His prize "Lillian de Alvarado Grahame" or "Tommy" to friends was long divorced from Gordon Grahame. But in a few months, Hubert was stricken. To recuperate he and Tommy flew to Tortola in the British Virgin Islands, a place that just happened to be an angler's paradise. Wan and peaked, he marshaled a broad smile, hoisting a 40 pound Great Barracuda he caught. Soon he added Amberjacks and Rock Fish. But all good things must end so back to Toronto he went to find a telegram that said, "Come, you're needed at Albert Hall." Off he sped. So easily he could have slipped back into his singer's mode but Canada's call remained intense. Bubs recalled how "he joined the (Grove) staff in 1936, teaching Music, Latin and Junior Instruction ... His contribution to music was immense, producing Gilbert and Sullivan operas and composing his own music for the Jubilate Deo which Old Boys of his day now insist upon singing at reunions. He coached cricket and possibly junior soccer." His friend also made reference to `Kipper' Kelly, a Canadian serving with the Imperial Army in India in the early thirties. To relax, he and his mates would sip cooling drinks and soak up the sounds from a gramophone. Favourites were sung by a lyric tenor named Hubert Eisdell, the members of the mess commissioning friends back home to buy and ship new editions as soon as they came out. Kipper, like his messmates, became pleasantly drugged on Hubert's offerings. Imagine his surprise, upon returning to Canada to enroll his son at Lakeview, when up stepped the same cultured English tenor to announce he would be the lad's teacher! He loved Lakefield life ... he was seen on the headmaster's lawn practising his fly-casting on the first leaves in the autumn. He paddled lovingly with an appreciation of all he saw on the water and along the shore at Stoney Lake. There, at Tommy's family cottage, he would fish to his heart's content, once landing a 20 pound muskellunge that was then ceremoniously cooked on a coal-fired stove ... no mean feat in itself! By all accounts it was delicious. For his last performance he chose Elijah with the Toronto Conservatory Choir on 16 November 1937. Professor Godfrey Ridout, a distinguished Canadian composer but a choir member on that occasion, judged Hubert's singing as "most discriminating. The voice was still beautiful." He stayed at the Grove until 1942 when health problems recurred. He gathered himself to make a final gift to the school, when as controller of music in the chapel, he set to music the last three verses of a 15th Century carol, "I sing of a maiden," and, as the chapel choir sang his music "He came all so still," Hubert accompanied on the organ. Youthful choir member Ralph Brocklebank thought it `a little gem' and included it later at Christmas concerts during his own musical postings. Finally in 1948, Hubert's health failed and on 29 May, he passed away at St. Joseph's Hospital in nearby Peterborough. He was buried in Hillside Cemetery not far from the school. Doug Cruthers believes his second marriage was a success. "I met Hubert Eisdell on many occasions. Tommy Eisdell was a saint. Wherever she was, there was peace and tranquility. And I know she loved Hubert as he loved her." After her death in 1987, Tommy was interred at his side. In 1965, a carton of Hubert's records was found in Tommy's basement in danger of mold. They were taken to his friend, Godfrey Ridout of the University of Toronto Music Faculty. He was ecstatic, lovingly going through the pile and extracting a couple of discs. The first "was put on the sterio [sic] with Godfrey going to the middle of the room and directing energetically, then explaining this was the first and finest recording ever made of Messiah." Hubert's song recordings remain an anomaly, especially to certain music critics in his homeland who should know better. They dismiss his tunes as worthless, although in their defense, Hubert referred to them as "pot-boilers." While some may lack true merit, others, as has been shown, were products of the finest English composers of the day. When he began making records, world order was about to crumble. And yet, during the bloody trauma of World War I, and afterwards, a steady stream of new titles poured out upon the marketplace. Why such a demand? Simple. His singing would soothe listeners, reminding them of the beauty in nature that hopefully would soon return. His songs not only mirror those mournful times but today they hold a meaningful place in social history. Others sang this music but only Eisdell managed to touch the hearts of so many. As for Katharine, she stayed in England until 1950 when, at age sixty, she re-located in Sydney, Australia near Michael, to live out her days counseling keyboard hopefuls. She died in 1971. Her letters to a biographer John Hyde in 1967 about Hubert remained affectionate in tone. She was evidently still proud of him. Eisdell kin continue to reside in the area. THE LIFE OF LIZA LEHMANN BY HERSELF, T. Fisher Unwin, 1929. "HUBERT EISDELL" by Peter Cliffe, The Historic Record, October 1992. "WHO WAS HUBERT EISDELL?" by John M. MacRae, Lakefield School Journal. Much of the earlier segment is based on John Hyde's writings, while the Canadian aspect was provided by two gentlemen who knew Hubert in his final years, (Bubs) MacRae and Douglas Cruthers, husband of Jacqueline, Alva's daughter from her first marriage. Doug also supplied rare photographs. Richard Green of the National Library of Canada helped get the project underway by sending John Hyde's writings and allowed me to bask in Hubert's music. Further assistance was rendered by Wayne Turner, John Walker, Norman Staveley, Peter Cliffe, John Walker and Mrs June Upton in England and Quentin Riggs in the USA. Also thanks to two pals in Winnipeg. 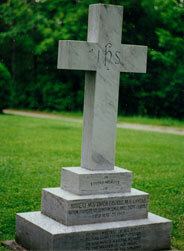 The graveside photos were Don Fox's contribution, taken while visiting his sister, Mary Easterbrook in Toronto. Mary was my charming guide in 1957. Denis Daly came to the rescue by revitalizing a faintly-detailed photo.